Finding the right businesses and organizations that can help us deliver products and services to our retail partners is crucial to TWT’s success. 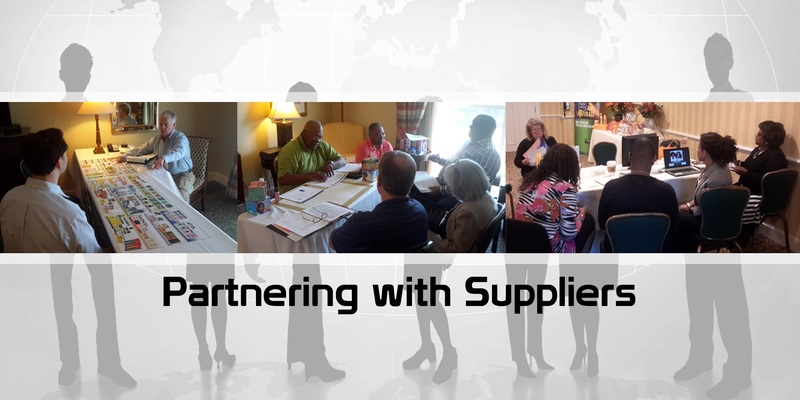 Currently, we partner with a network of diverse suppliers who diligently work to help us serve our retail partners’ needs. Furthermore, our supplier network consists of companies that are focused on providing excellent customer service, producing quality products, who understand our customers and who have a solid foundation for capacity and financial stability. Financially capable of producing the inventory or service necessary to meet the products and service demands of some of the largest retailers in the country. Willing to adapt to technology that enable TWT to efficiently deliver information, services and products to our retail partners. A track record and story that indicates your company’s success in a highly competitive retail industry. Ability to deliver your products and services on a strategic schedule. Products that fit into at least one of the product categories that we sell to our retail partners. If you’re interested in becoming part of our network of suppliers, we would like to hear from you. The first step to become a supplier to TWT Distributing is to complete the below supplier form. Someone from our company will contact you shortly (via email or phone) to review the information. In over two decades,TWT Distributing has built a tremendous reputation and track record of implementing and managing profitable ethnic health and beauty care categories for many of the leading grocery, mass and drug chains throughout the country.